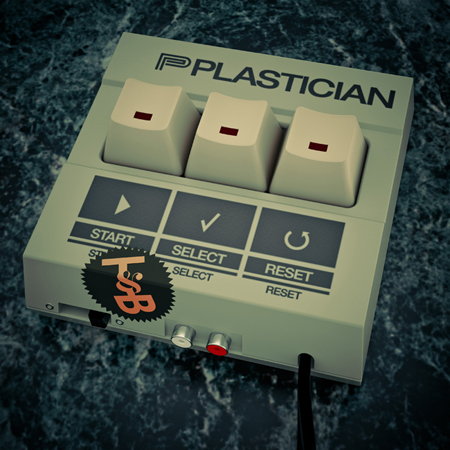 Anybody who follows bass music knows – Plastician is a badman. This new EP harks back to the original rave era as well as the early grime days which made his name. ‘Bad Like Us’ and ‘Retro’ bang hard with an anthemic old skool vibe, the former featuring Doctor with a heavy up front vocal assuring any would be contenders to the throne that ‘them nah bad like us’. Next we have two grimey bangers, the menacing ‘Senate’ and beatific ragga vibes of ‘Elixir’. Doctor once again features on ‘Rebel Music’, a forceful dubstep smasher. Rounded off by the aforementioned track’s instrumental this release is as mighty and unrestrained as ever – If you are familiar with Plastician‘s sound then you already know what to expect. Out 18th September, you can pre-order from Juno. This entry was posted in The Robot Recommends and tagged anthem, doctor, dubstep, grime, Old Skool, Plastician, rave, Start Select Reset, Trouble & Bass by 1nejack. Bookmark the permalink.